Video door phone system is not only used on high-rise residential buildings and apartment buildings, but also on some multi-storey or single-family villas. The installation of video doorbell also improves the home security. To villa users, should we choose a wired or a wireless video door phone? Wired video doorphone, wireless video door phone, and wireless audio intercom can be used on villa. Wired models are generally cheaper. However, for aesthetic purpose, the wires need to be hidden in the wall. If the wire is aging, maintenance will be very troublesome. Outdoor unit of wireless video door phone must be plugged into an AC or DC power outlet and installed in a relatively fixed position. Indoor monitor can be movable. Transmission range between two devices can be 500 meters. As for wireless audio intercom, its visitor image is invisible; only audio is transmitted. Its penetration is better and the price is cheaper. There are two ways to power wireless video door phone. One is to use battery; the other is to connect directly with power supply. If power supply is used instead of battery, no pollution to water and soil exists; and it is environmentally friendly. Also installation is easier without wire connection between outdoor and indoor units. 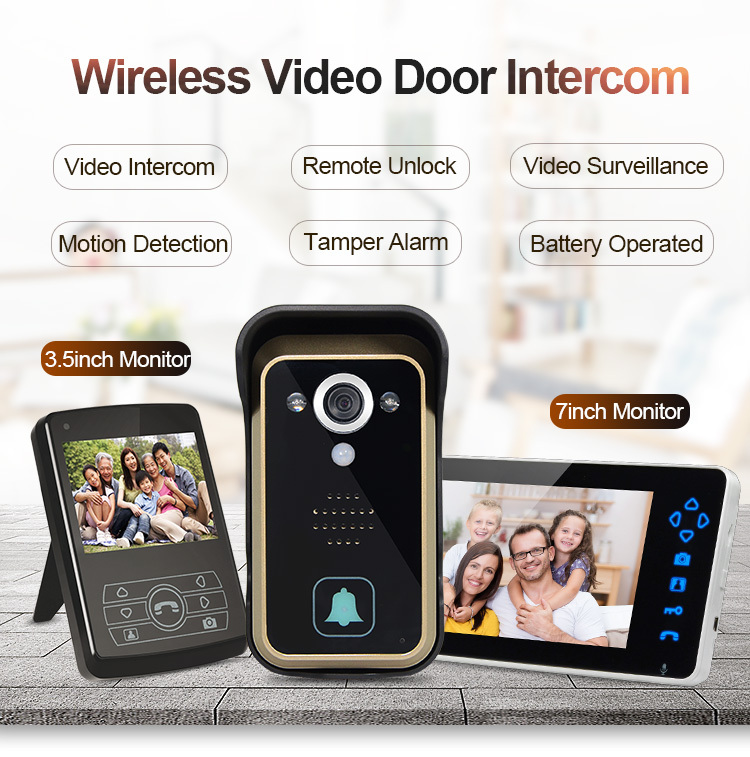 Wireless video door phone is relatively simple to install, but the penetration is not very strong. Generally, it can only penetrate 2-3 brick walls. If the wall is particularly thick, transmission may not be smooth. Therefore, not everyone can use wireless video doorbell. Wired video doorbells have more smooth transmission because of the wiring, but many villa users are not willing to punch holes on the walls and do wirings. If you want to install a wireless model, you should select according to actual situation and structure of your house. We hope this article to help you choose a video doorbell! Copyright © Dongguan Tianluo Electronic Technology Co., Ltd.